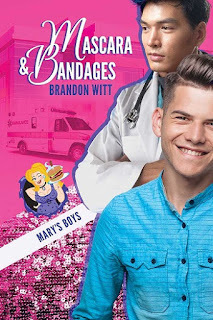 I’ve fallen hard for the Hamburger Mary’s family since the characters were first introduced in Under a Sky of Ash and while I’m sad to say goodbye, it makes perfect sense to finish with Steven’s story. He is the owner of Hamburger Mary’s and it was his decision to leave the corporate world and buy a restaurant that made it possible for all the others to find their happily ever afters. When we meet Steven, he is questioning everything about his life. He traded a comfortable professional existence for debt, bills, and financial instability. 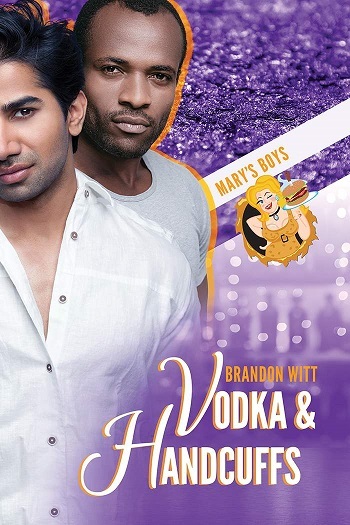 Hooking up with a hot young guy at his father’s funeral makes him feel better – until he realises that his hook up is his nephew’s best friend. Eighteen years is a huge age gap, especially when Steven watched Ryan grow up. The age gap made sense to me because while Ryan is much younger, he has also made decisions that took him off the path his parents had planned for his life. Ryan is also happier but poorer and he is also building his own business. I’m not sure we got to know Ryan as well as we go to know Steven, which is a shame because I was really intrigued by his character. This isn’t as fun or as playful as some of the earlier books (though all have darker themes running through them). Steven really wrestles with his father’s disapproval and disappointment. Steven’s self-doubt feels real and raw and I empathised wholeheartedly with Steven’s midlife crisis. I dare anyone to read the end and not cry. I absolutely I loved the way the Hamburger Mary’s family found to let Steven know the positive impact his choice has had on so many lives. For reviews & more info, check out our Vodka & Handcuffs post. For reviews & more info, check out our Mascara & Bandages post. 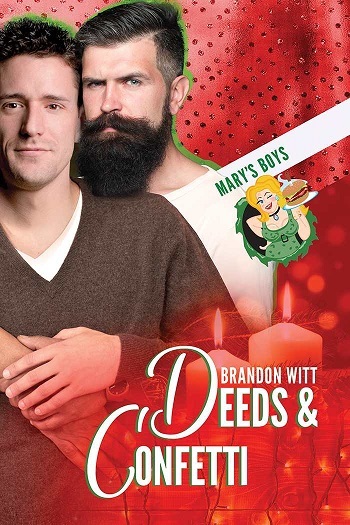 Reviewers on the Wicked Reads Review Team were provided a free copy of Deeds & Confetti (Mary's Boys #4) by Brandon Witt to read and review. Yes I do enjoy May/December romances especially if the age gap is not to big. Age difference doesn't matter much to me. In real life, a significant age gap can be difficult, but it's not impossible. On the inside, aren't we all about 25 anyway? Age differences don't matter to me unless the writing is too unrealistic. There's only so much I can suspend belief when you have a 19yo who loves partying/hanging with his friends and gaming marathons dating a 45yo who actively hates all of those things but they never have any conflicts lol. I like age gap books, they are one of my more favorite troupes lately. Love age gap. Age doesn’t matter if you connect with the person. Age gap does not bother me... In fact, I had a relationship with somebody 14 years my senior, when I was thirty... I think it was a relationship that gave us both many good things! I love stories about all different types of couples, including those with an age gap. I LOVE them! I remember years ago it wasn't a big thing so there weren't so many age-gap books in the mm genre. The age gap doesn't matter as long as the story is good. I enjoy May/December stories, especially when they written well. Brandon Witt is a terrific talent, and he writes wonderful books! I like all romances, including those with age gaps.